Click here for my previous ASY posts. Issued in September, ASY’s interim figures had already revealed H1 profits down 32% — apparently, an “unseasonably mild winter” caused lower demand for the hire group’s portable heaters. The same statement also owned up to a “disappointing” third quarter. H2 revenue slipped 5% to push H2 profits down by ‘only’ 16%. Today’s statement described the year as having witnessed “challenging trading conditions” — a term used by ASY for at least the last three years now. Still, ASY did confirm last year’s “under-performance” had been “largely addressed” by the end of the fourth quarter — with trading having “nearly recovered” to the levels of 2013. I was pleased a disappointing year did not translate into disappointing accounting measures. For instance, full-year operating margins were a robust 20% while return on average equity was a decent 22%. Cash flow appeared good, too, with capital expenditure covered by the depreciation charged against earnings. Year-end net cash looked healthy at almost £17m while the final-salary pension scheme continues to run at a £1m surplus. 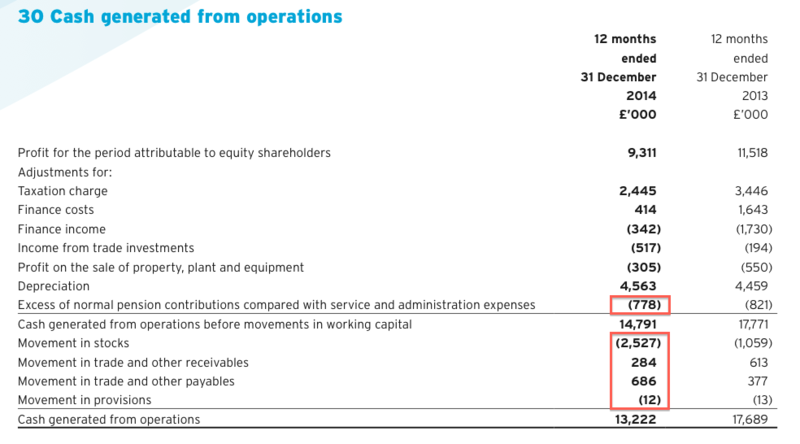 The full 2014 annual report should be published by the end of next week and I will double-check ASY’s cash flow, including the firm’s working-capital movements and the level of any additional pension-scheme contributions. I also need to look into ASY’s trade investments, which have a book value of just £164k but produced an income of £517k last year. The ‘idiosyncratic tycoon’ that owns 90% of ASY has rewarded his fellow shareholders with another dividend. As you may recall, ASY’s past dividends have been somewhat haphazard. Anyway, a final 11.9p per share payout matches that declared at the half-year stage and gives 23.8p per share for the full year. The payout was not quite covered by earnings, which is why the shares at 300p yield 7.9%. These annual results showed operating profits (plus trade-investment income) of almost £12m, which translated into earnings of £9m or 22p per share. Subtracting the £17m net cash position from the £127m market cap, I arrive at an enterprise value of £110m or 260p per share. Divide that 260p by the 22p per share earnings and the underlying P/E is 12. But let’s assume ASY can recover from its woes of 2014. After all, profits last year were the lowest since 2005 and have in the past been £6m higher. The average operating profit reported between 2004 and 2014 is almost £14m, which could convert into earnings of about 25p per share. On my 260p per share enterprise value, this alternative earnings figure supports a P/E of 10. 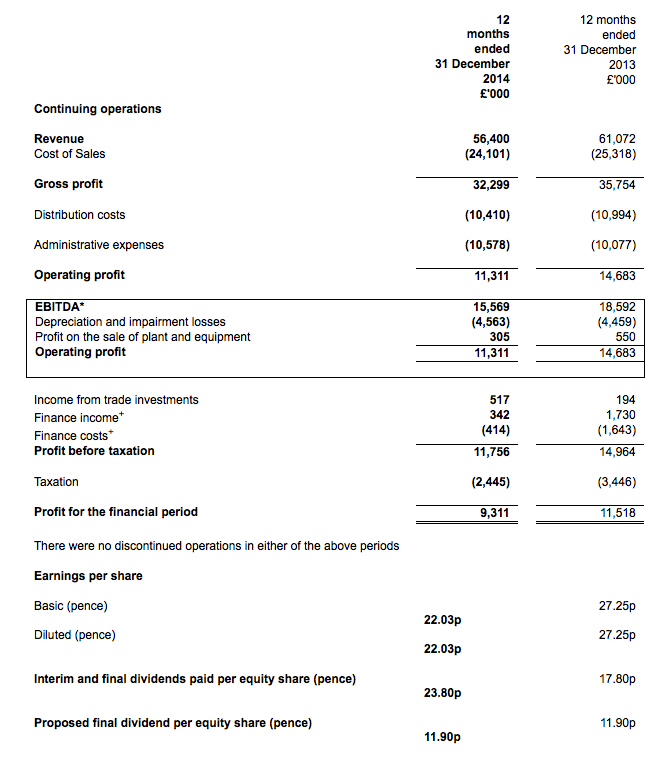 And with ASY continuing to struggle to produce any longer-term sales and profit growth, I still believe I need to buy at a similar rating to make the most of the firm’s cash generation and dividends. * Next update — probably interim results during late September. The report includes a fair bit of text that was not contained in the original results RNS. I’ve picked out one or two little snippets of extra information. Plus I’ve scanned the accounting notes for anything of interest. Anyway, at least 8 new sales and distribution people were taken on as well. Plus, the average cost of each employee dropped from £32,765 to £32,204. I assume the difference is due to Mr Wood collecting less (if anything) in the way of a bonus during 2014 after profits fell so heavily. 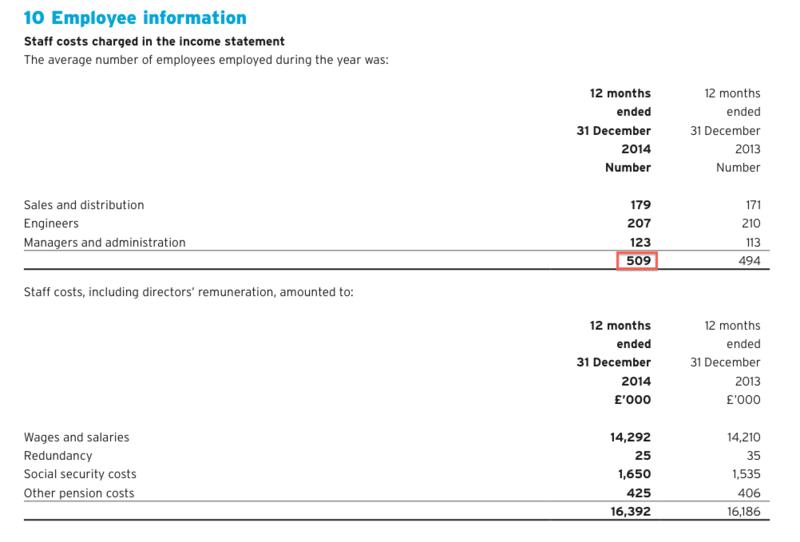 The numbers suggest to me that Mr Wood collects quite a high basic salary (£300k-plus?) and a relatively low bonus. I mentioned in the above Blog post that ASY collected a £517k dividend from a trade investment that was in the books at £164k. Looking through past annual reports, I see this trade investment has provided dividends totalling £1,703k during the last five years and £2,892k during the last ten years. Annual dividends received from this investment have ranged from zero to £980k. Taking the average of about £300k, I guess this trade investment may really be worth £3m (7p per share) or so. 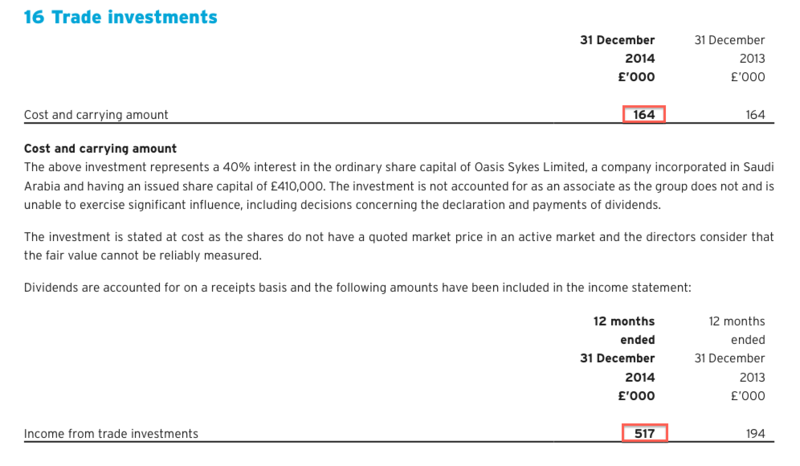 But as the above accounting note states, ASY has no influence on dividend decisions with the business concerned and it might be a bit cavalier to suggest ASY could turn that investment into a (supposed) £3m anytime soon. So I think for valuation purposes I will use the average £300k of past trade-investment income to work out the P/E etc. My sums in the Blog post above remain valid. I am pleased the pension scheme continues to show a £1m surplus as the plan’s assets continue to produce a return that offsets the benefits paid and the ever-increasing actuarial liabilities. An extra £778k was pumped into the pension scheme over and above what was charged to headline earnings. However, that figure should reduce substantially during 2015 (and hopefully beyond) given the aforementioned accounting note that indicated a £120k contribution this year. Meanwhile, working-capital movements looked acceptable, although the aggregate outflow of £1,569k was the largest since 2008. ASY has traditionally offered very strong working-capital management, so I am not unduly worried by what was still a respectable cash-generative year. I couldn’t find anything else in the 2014 annual report that warranted any comment.